Tamper Torx Size TX7. Shaft thickness 3.0mm. Blade length 60mm. Overall len..
6 piece set. The three-zone concept of Kraftform Micro screwdrivers reduces fastening t.. Tamper Torx Size TX8. Shaft thickness 3.0mm. Blade length 60mm. Overall len..
Stanley FatMax Tamper Proof Screwdriver Torx Features Tip Size TT20. 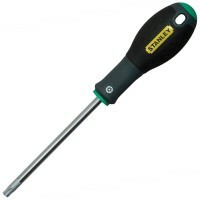 Blade Length 1..
Stanley FatMax Tamper Proof Screwdriver Torx Features Tip Size TT10. Blade Length 7..
Stanley FatMax Tamper Proof Screwdriver Torx Features Tip Size TT25. Blade Length 1..
Stanley FatMax Tamper Proof Screwdriver Torx Features Tip Size TT30. Blade Length 1..
Stanley FatMax Tamper Proof Screwdriver Torx Features Tip Size TT15. Blade Length 7.. Tamper Torx Size TX20. Shaft thickness 4.0mm. Blade length 60mm. Overall le.. Tamper Torx Size TX15. Shaft thickness 4.0mm. Blade length 60mm. 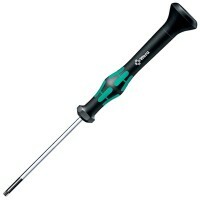 Overall le..
Stanley FatMax Tamper Proof Screwdriver Torx Features Tip Size TT40. Blade Length 1.. 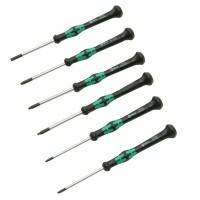 Tamper Torx Size TX10. Shaft thickness 4.0mm. Blade length 60mm. Overall le.. Tamper Torx Size TX9. Shaft thickness 4.0mm. Blade length 60mm. Overall len..